Newspaper brand manager by day, televised talent show host by night, Terri-Karelle Reid brings the sizzle to the steak. 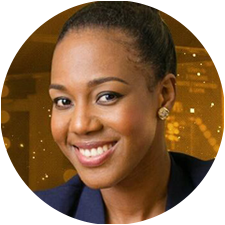 As brand manager of Jamaica’s leading newspaper, The Gleaner, she leads the company’s efforts to move into digital and become a multi-platform brand. Yet Terri is best known in Jamaica as host of the popular TV talent show Digicel Rising Stars. The INMA Awards Dinner will be her Broadway debut. The INMA World Congress is scattered throughout Manhattan, but the pivot point is Times Square: Marriott Marquis, TimesCenter, Pier Sixty, and Edison Ballroom. Copyright © 2014 INMA. All rights reserved.